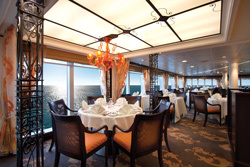 Oceania Cruises has announced details of its Bon Appétit Culinary Centre classes for 2012. These include Oceania Highlights, which instructs guests on how to prepare favourite recipes from Oceania Cruises’ signature restaurants: Jacques, Red Ginger, Polo Grill and Toscana. The centre also runs Healthy Cooking, inspired by the line’s collaboration with the Canyon Ranch Spa Club; and Emerging Cuisines, focusing on Moroccan, Peruvian and Asian-fusion dishes. 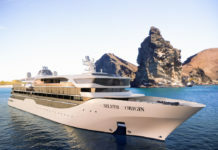 The new classes will feature on both Marina and the line’s newest luxury vessel, Riviera, which launches in May. For 2012, the culinary centre will also introduce one-hour classes that focus on “hot topics” in the culinary world, including Beyond Brie: the Innovative Cheeses, where guests learn how to assemble a cheese plate and Favourite Pairings with Favourite foods, which showcases innovative finger foods paired with cocktails and beer. The cookery school curriculum will also feature a new series of technique classes based on Jacques Pépin’s new book, Essential Pépin. Beginner classes focus on basic knife skills, French sauces and proper technique for cooking fish. Advanced classes concentrate on the sous vide and pressure cooking methods. Guests enjoy wine tastings with every class and leave with a selection of recipes to take home. Two-hour cooking classes are priced at $69 and one-hour classes start at just $39. Chef Kelly and Fleet Corporate Chef Franck Garanger, have recruited master chefs from Greece, Italy, Ireland, France, Australia, Vietnam, New Zealand, Peru and India, to join the culinary centre team on Riviera and Marina in 2012. During most voyages, guests can also attend cooking demonstrations in the ship’s main lounge. 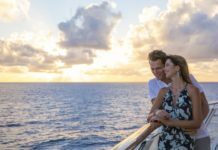 These cooking demos will highlight a particular method of cooking, a “mystery” ingredient from a recently visited market or one of the signature dishes from an Oceania Cruises’ restaurant. The demos are open to all passengers and free of charge. 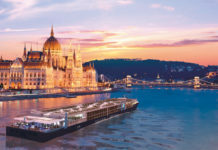 To find out more about Oceania Cruises, visit OceaniaCruises.com or call 0845 505 1920.